When I was a news editor with BBC External Services (later renamed BBC World Service), any mail for "Ian Richardson" would sensibly come to me, as there was no-one else by that name on the corporation staff. This mail would sometimes include fan letters for my actor namesake, who made a name for himself in TV drama, not least in the television adaptation of John Le Carre's Tinker Tailor Soldier Spy, then later in the hugely successful BBC TV series House of Cards. 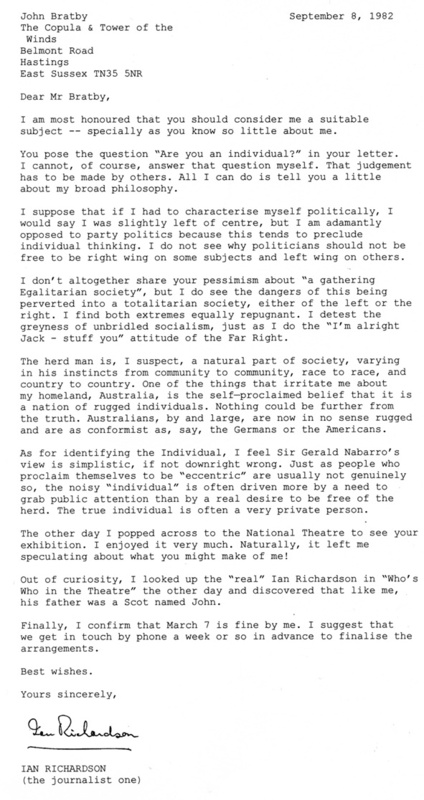 I passed on the fan mail to the other Ian Richardson, and over the years we exchanged a number of chatty letters. 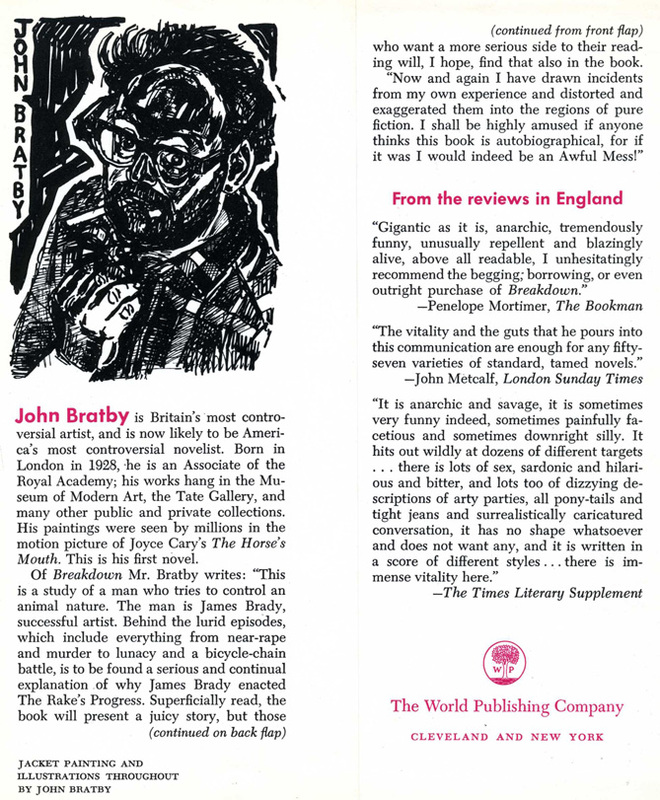 Late in 1982 I opened an envelope to find a letter from Royal Academy painter John Bratby, known as the innovator of "kitchen sink realism". It was an invitation to pose for an exhibition to be called The Individual in the Growing Egalitarian Society. I learned that the exhibition would include new portraits of the Queen Mother, Paul McCartney, Sir Alec Guinness, Sir Michael, Roald Dahl and many other other prominent folk. 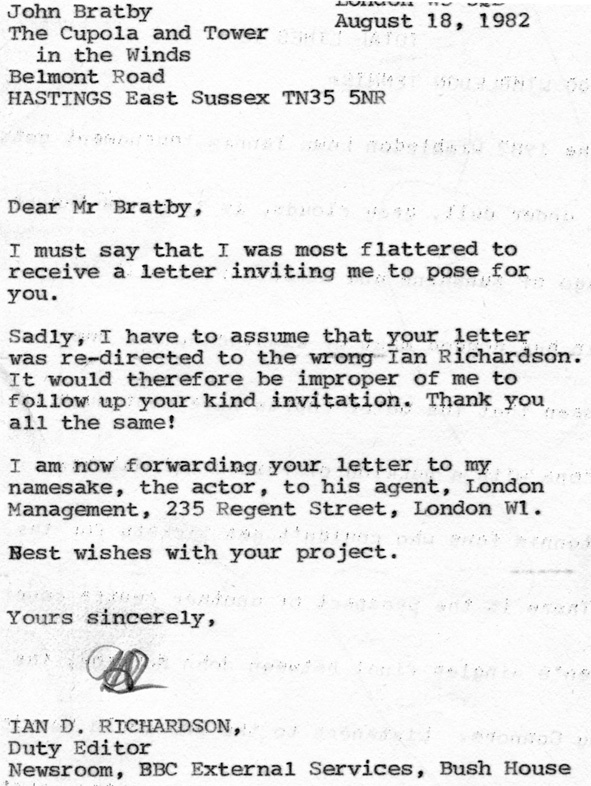 Clearly, the invitation was not intended for me, so I wrote back to John, saying how flattered I was, but the invitation was obviously for the actor and had been forwarded to him. 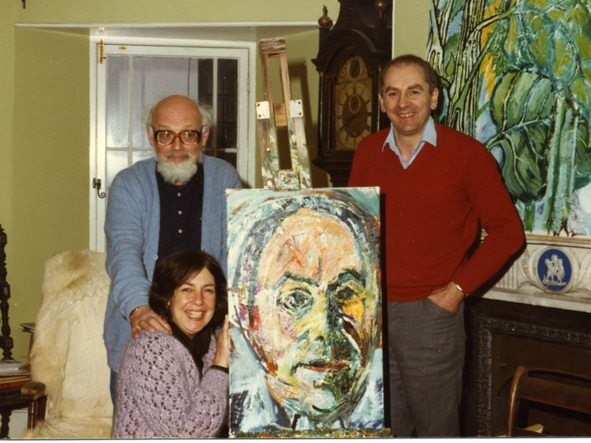 This amused John and he thought it would be fun to paint both Ian Richardsons, so in March 1983 my wife and I went to his house in Hastings where I sat for several hours as he did the large portrait using a palette knife and oils. Throughout the sitting, John and I chatted about all manner of things, mostly related to the role of the individual in society. His wife, Patti, brought me several coffees in an outsized cup and saucer -- plus a frequent supply of bacon sandwiches. She would take these opportunities to study the progress of the portrait, then would return a few minutes later to hand John her comments scribbled on a scrap of paper. As John and I parted at the end of the portrait session, he gave me a signed copy of his book Breakdown. 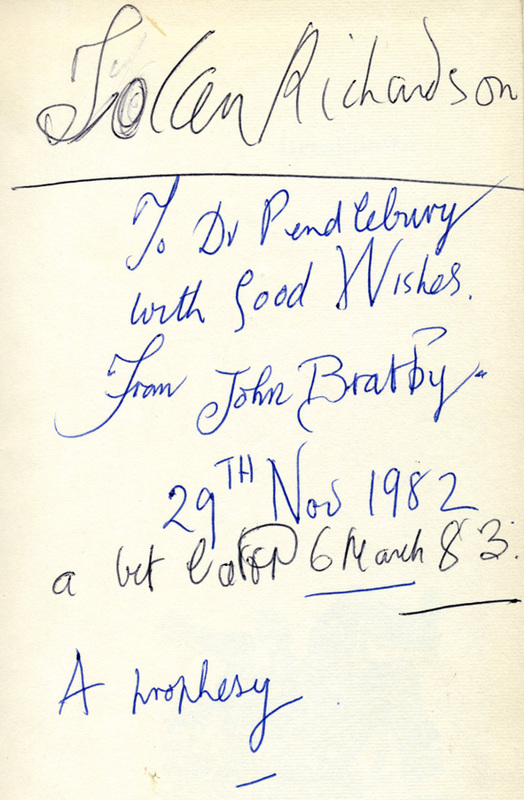 It was intended for his psychiatrist and already had a hand-written dedication to him in the fly-leaf, but John simply added my name and the date and handed it to me. My actor namesake initially agreed to be painted by John, but later changed his mind. He died of a heart attack in February 2007. As far as I know, my portrait never appeared among nearly 300 Bratby works on display at the exhibition at the National Theatre in London. John offered to sell the portrait to me for £300, but I was so financially stretched at the time that I couldn't afford it. Later, after John had died and I was financially better off, I contacted Patti Bratby to ask if the portrait was still available, but she couldn't find it anyone among his collection. A fine art dealer with access to the Bratby archives has since tried, but failed, to establish what happened to my portrait, although he found a note saying that I liked it but was not, at that time, able to afford it. Some portraits were over-painted, but there was no mention of mine being among them. 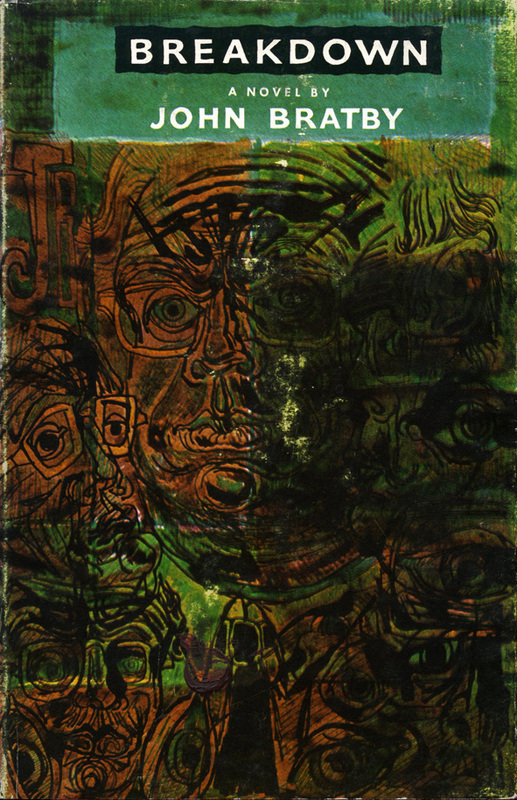 The problem is that Bratby was a very prolific artist, and there are many hundreds of his paintings held by various galleries and individuals. So, is it still out there somewhere? Or did John decide to paint someone else over my portrait and not note this in his files? I hope to find the answer one day. If you think you can help, please get in touch. 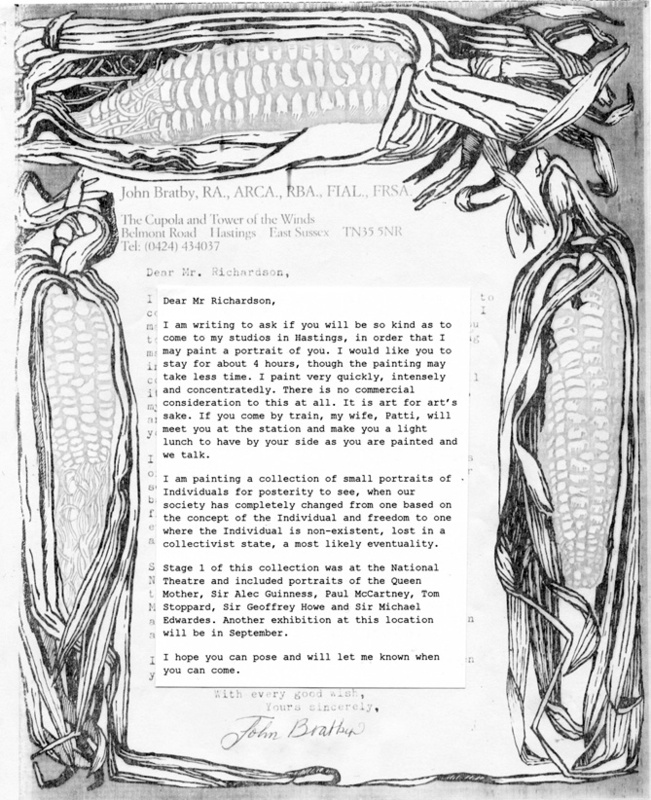 Since my initial posting on this topic, I have been directed to a website that mentions an unpublished Bratby archive, held by a rare book dealer. 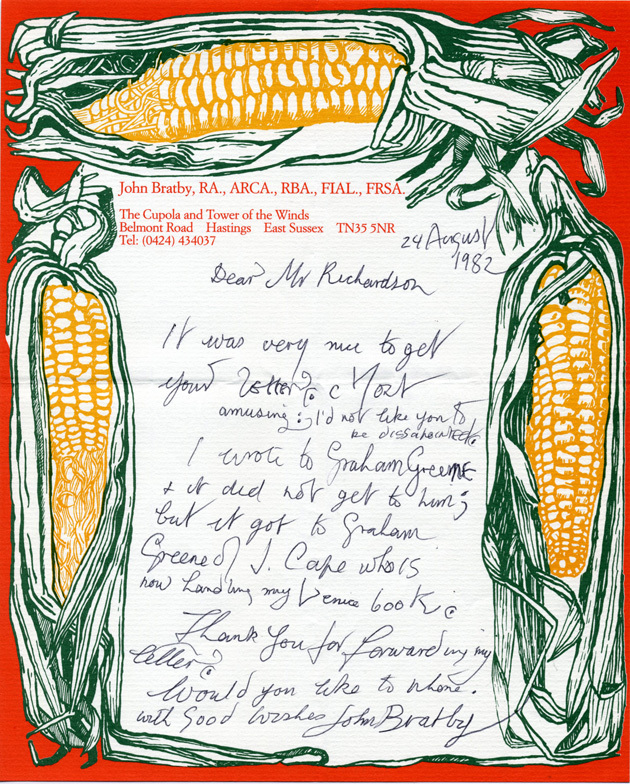 It includes a note from Patti Bratby that "the wrong Ian Richardson" turned up, but she and John decided "not to let on". Not so. John and Patti were in no doubt that Ian Richardson (the BBC journalist) had been invited to their Hastings studio. Further, I had helped them get in touch with Ian Richardson (the actor). With the aid of the Internet I have been able to scroll through many of the hundreds of portraits done by John, and the inescapable conclusion is that I must have been just about the least famous person he painted. 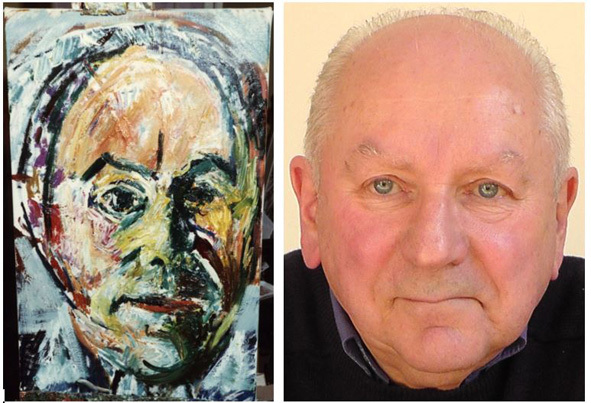 You can see many more of his paintings simply by doing a browser search for "John Bratby paintings"